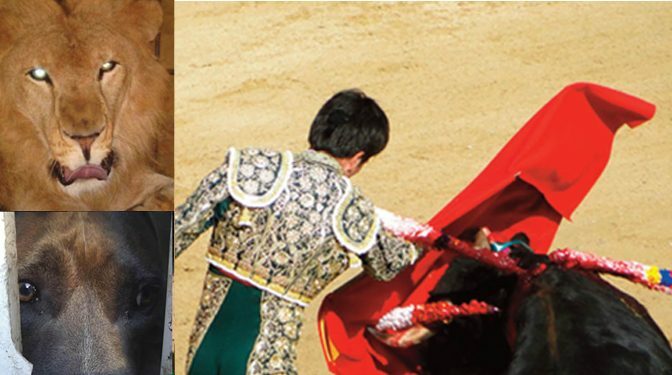 Caracas, Venezuela bans animal circuses, bullfights, cockfights & dogfights! On July 25, 2017, a measure approved in 2016, prohibiting animal circuses, bullfights, cockfights and dogfights, came into force in Caracas, the capital of Venezuela, a city with a population of over 2 million people. ADI congratulates AnimaNaturalis Venezuela for their determined campaign to secure this ban and thanks the councilmembers who backed it. For a country with significant captive wildlife problems this is a very important step and confirms how the public in South America are backing calls to end the suffering of animals in entertainment. Thank you, Caracas, Venezuela, for banning these atrocities towards our voiceless and setting a good example to follow for Latino America.